There are several advantages to owning a hot tub. In order to take advantage of all these features, placing is crucial. Your hot tub will not be nearly as enjoyable if you can’t use it part of the year or you can’t enjoy the summer nights outside, if that is your preference. Many homeowners struggle with where they are going to place their hot tub before they think about anything else. Affordability doesn’t mean anything if the hot tub isn’t going to be used practically. Use these tips to help you choose between an indoor or outdoor hot tub. Indoor hot tubs are a wise choice for people who want to enjoy themselves all year long. The indoor environment also provides more privacy so that you can feel more relaxed and comfortable. In addition, the indoor hot tub is much easier to maintain as you don’t need to worry about leaves or debris floating in when you leave the cover off. The only downsides to the indoor hot tub is that they aren’t meant for entertainment purposes. In most cases, indoor hot tubs are placed in a bathroom in the home. Depending on the space you have available, you may want to consider building a small outdoor building for the hot tub so that you can invite guests; however, you may lose some of the privacy benefits. 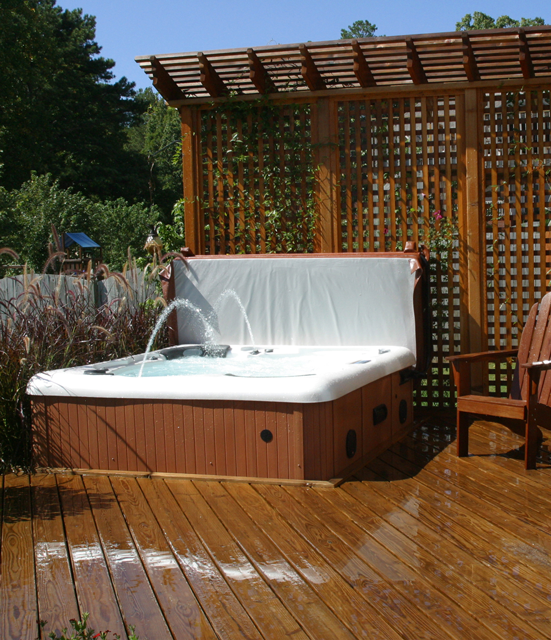 Outdoor hot tubs are a great compliment to any yard. Whether you are planning on hosting a number of different parties or just want a quiet place to relax, you can create it using your hot tub. Outdoor hot tubs also help you to get in touch with nature and enjoy the great outdoors whenever you want. Choosing an outdoor hot tub can be a liability, so you will have to enclose it. If you have small children in your neighborhood, you may also want to consider a lock for safety. You will also need to invest in a cover to keep debris out of the tub when you are not using it. If you live in a colder region, you may want to consider an indoor hot tub as not everyone is going to be comfortable outside. In order to choose between an indoor and outdoor hot tub, you should write down all the features you want in a tub. Consider how and when you will use your hot tub. Make sure to consider where you will place your tub, as even small hot tubs take up a lot of space. After you carefully consider your lifestyle, you can decide where to put your new hot tub. Take a look at your hot tubs options here.